I honestly had no idea how Blumhouse and Universal Pictures would approach making a sequel to “Happy Death Day,” so I’ll try to explain the premise without giving too much away. Very mild spoilers ahead. After living the same day over and over again in the first film – and dying every time – Tree (Jessica Rothe) finally figured out who her killer was and lived to see the next day. But when she wakes up that morning, her new boyfriend’s roommate is having the same kind of déjà vu, complete with the school mascot, Baby-Face, killing him at the end. In helping with this new situation, Tree is sent back to the day she lived before, but now in a parallel dimension where a few things have changed. This leaves her to figure out who the killer is in this multiverse, and also figure a way back into her own dimension. At first, when the movie introduced the concept of a multiverse, I was a bit skeptical. But with the day being almost completely explored in the first film, I wasn’t mad when I realized this just meant new things can happen while keeping the iconic situations. My favorite thing was that when Tree enters the parallel dimension, there aren’t only huge changes in relationships and situations, but little things have changed too. For example, the “Dumpstaphunk” T-Shirt Tree is wearing nearly the entirety of both movies has very minimally changed to a different band and venue location. I look forward to watching the film again and seeing if I can notice any other small changes. 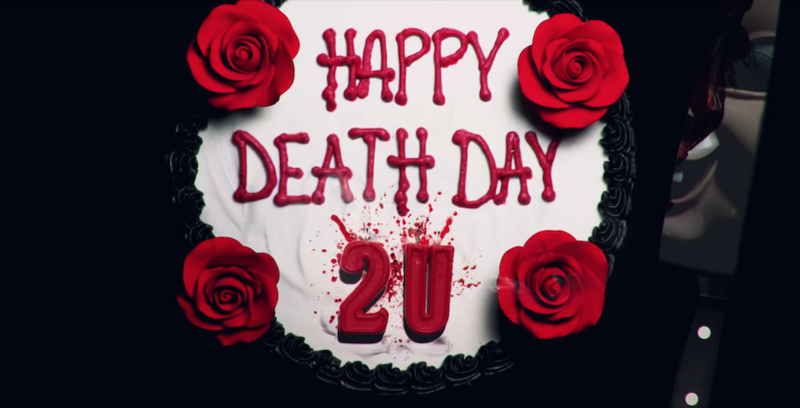 Once again, ”Happy Death Day 2U” is less of a horror movie and more of a mystery and action-comedy, never showing much gore other than a few blood splatters and smaller wounds that never last more than a few seconds. Universal’s Halloween Horror Nights event on both coasts of the U.S. have seen a version of “Happy Death Day” in their “The Horrors Of Blumhouse” maze the past couple years. 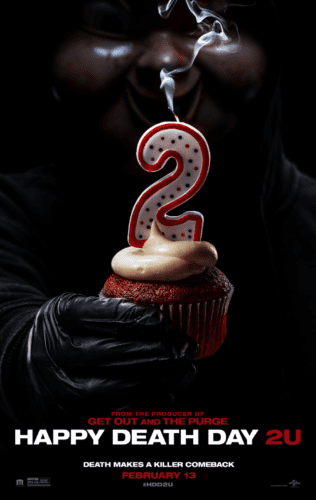 Will we see “Happy Death Day 2U” included this year as well? We’ll just have to wait and see.